Evildoers and supervillains beware! Mrs. Incredible has arrived in this Mrs. Incredible Skirted Deluxe Adult Womens Costume to protect the world this Halloween. 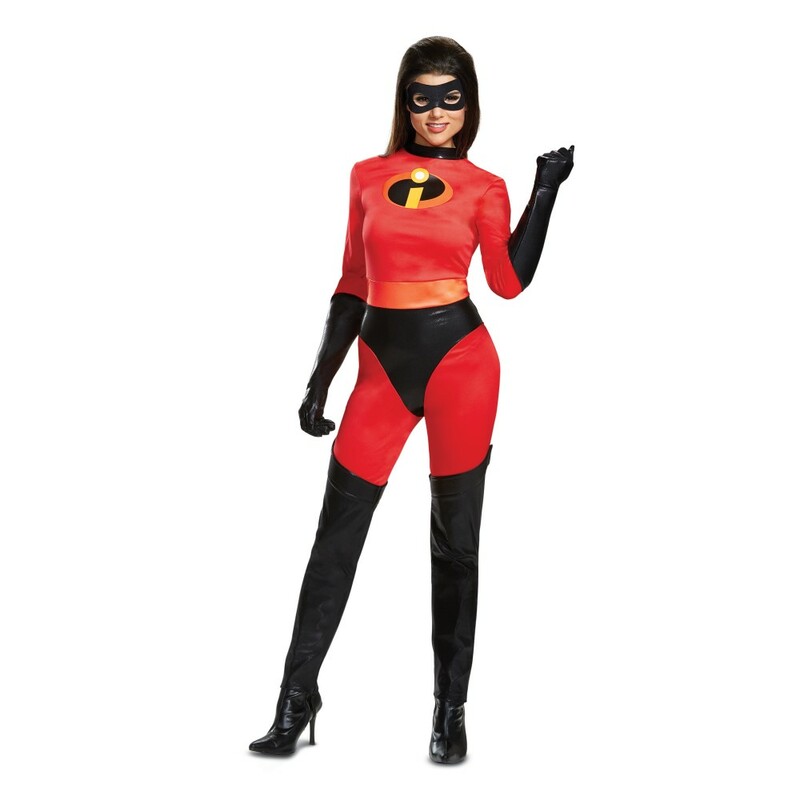 The deluxe 4-piece women’s costume includes an Incredibles’ jumpsuit, skirt, eye mask, and a pair of gloves. 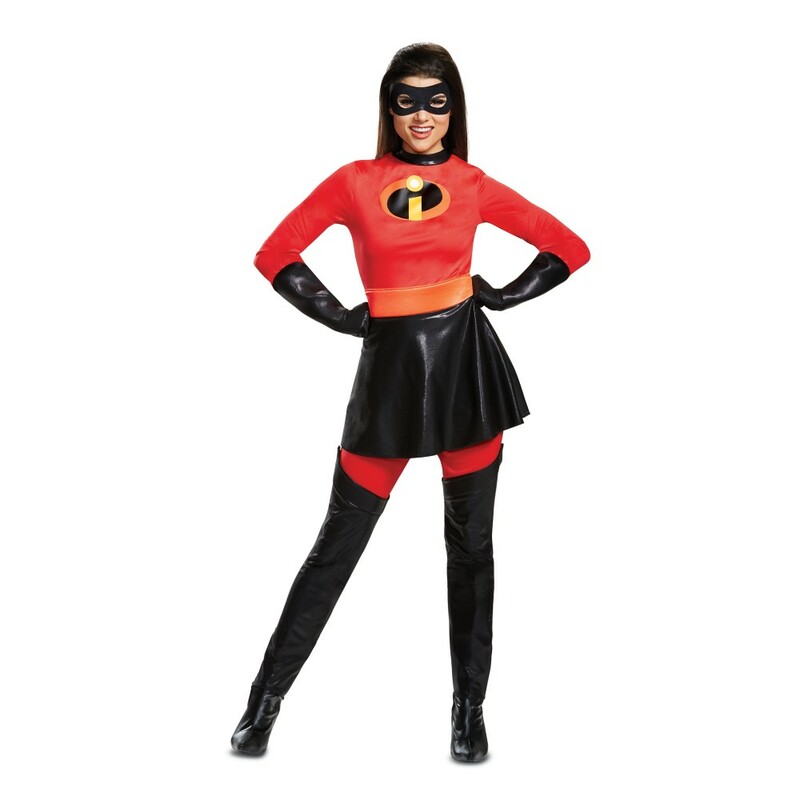 Like the costume worn by the Incredibles team, this costume jumpsuit features an all red body with a printed Incredibles’ “I” logo on the chest, an orange waistband, a removable black skirt, and attached black boot tops. The black eye mask features an elastic band for wearing. And finally, the included black gloves add the finishing touches to your Mrs. Incredible costume this Halloween.